I too religiously read the HBR and often blog about insights I gain from it on my different blogs. A while back I realised that I was getting huge proportion of my blog and business inspiration from HBR and took it as a sign that I wasn’t reading widely enough. I redoubled my efforts to read a wide range of other magazines, journals, and books and found that it wasn’t me – it was HBR. It’s well worth the subscription and there’s always something in every edition that inspires me. Steve, this is fantastic news! It’s about time HBR join the ranks of Hawken’s middle and high school students whose experiences with LLP and the BMC continue to teach them that failure is an essential component of success and that their ideas can become reality through a work ethic that embraces these methodologies. The mindset developed through LLP is responsible not only for student-run startups, but for kids ages 12-18, who view the world and their role in it in an entirely different manner. LLP is nothing short of life-changing. Glad HBR is on board! 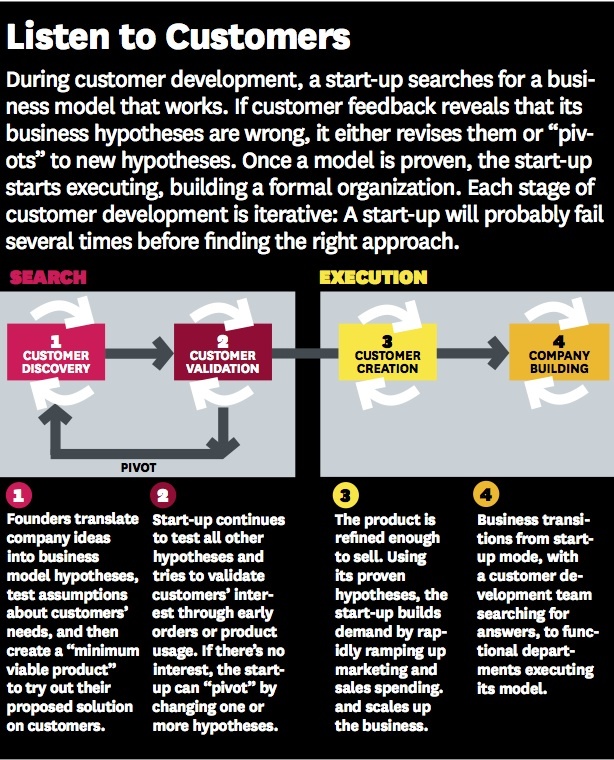 Great to see Lean Startup and customer development get HBR exposure. 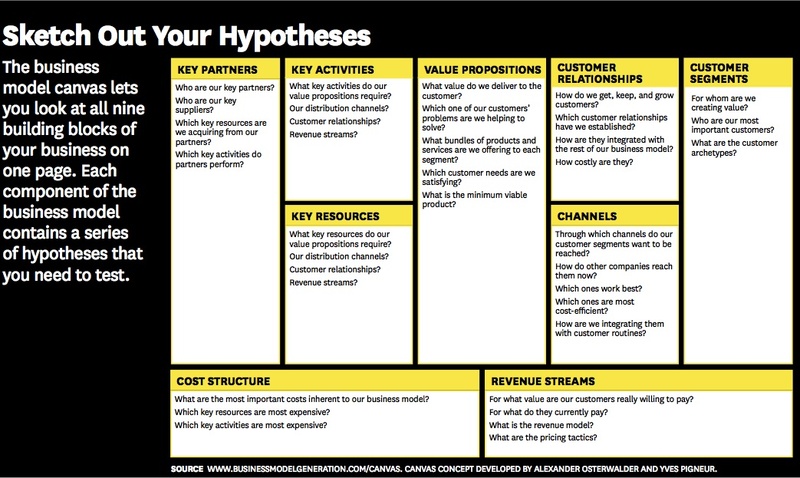 I especially like the segments on applying the model to spark new approaches in existing businesses and government. Many opportunities for leaders in federal agencies and their business partners (for-profit and non-profit) to apply Lean Startup concepts to help them succeed amid the current U.S. budget disruption. Congrats on the publishing! Apart from your amazing books I discovered Guenter Faltin as an inspiration. His book ‘Brains versus Capital’ thought me a new perspective on entrepreneurship. Would we be able to re-run in Global Corporate Venturing, our magazine, crediting HBR? Congrats again, Steve. And thanks for your commitment to change the perception when change is so necessary. As difficult it has been to tread the uncertain waters as an entrepreneur over these 20 years , your insights along with Eric, Alexander, Ash, Chen and others continue to inform my lifelong work building great companies and products. Hi Steve, very good post and article, I have been forwarding it around to the Raleigh/Durham startup community today. Well done. This is dangerous Steve. You’re becoming mainstream. What’s next? Appear on “Good Morning America”? Great insights, Steve, and I’m looking forward to reading your article in HBR. The idea of the “lean start-up” for present-day entrepreneurs strikes me as exactly right, and extremely helpful in guiding small business owners to take their business in the right direction. Hope to read your book. 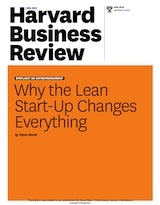 Rather odd talking about ‘Lean’ as if it just – started with start-ups. Steve, maybe you should read ‘The Machine that Changed the World,’ and catch up on Lean manufacturing, Lean Aerospace etc – actually talking about lean and start-ups is several decades late to the table. Hopefully the article itself includes a tip of the cap to everyone in and around lean before – you caught up with that trend. Wonderful work again! Hopefully with this publication in the most prominent “mainstream” business journal it will be easier converting old-schoolers to the ideas of customer development and lean but mean MVPs. I stopped reading the HBR after many years as an avid subscriber because I came to feel it was too focused on “big company stuff”. It is a real testament to the veracity of your ideas that Lean Startup is now becoming part of the mainstream orthodoxy. You seem to use the terms “Lean” and “Lean Startup” interchangeably in this post. Is that intentional? 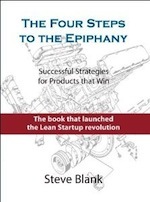 Should we assume that “Lean” refers to “Lean Startup” and not “Lean Manufacturing” in the context of this blog? It is getting harder to keep track of the intended meaning as more people reference “Lean Startup” in a business context. Correct. 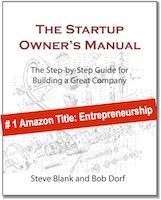 In this blog post Lean = Lean Startup.